When Shirley Webb walked into the gym for the first time, a little over three years ago, she was scared, intimidated, and wouldn’t have gone if it wasn’t for her then 16-year-old granddaughter, Dorian. Now, the grandmother of two from East Alton, Illinois, holds six American Records and 26 Illinois State records in the USAPL. She can deadlift 260 pounds, and her fan club continues to grow as videos of her have gone viral, she was invited to be on an episode of The Doctors, and she was even featured in the latest “Ripley’s Believe it or Not! Shatter your Senses!” book published in August. The video of Webb deadlifting 225 pounds for three reps was the video that went viral with 17 million views—even catching the attention of professional football player JJ Watt. Having not participated in any formal type of exercise until she was 76, Webb says her strength really manifested in all the manual labor she was required to do growing up on a farm. Webb says her trainer, John Wright, is always very conscious of what she does and makes sure she does not injure herself. She used to go into the gym for her training sessions about three times a week but since getting a bar, plates, and dumbbells in her basement, she is able to stay at home and get her training done with the help of her husband and sons. Her dedication shows in the progress she has made in competition. She has competed in seven USAPL meets, two being Raw Nationals in 2016 and 2017, where she won her division (Raw Masters 4 last year and Raw Masters 5 this year in the 84kg+ weight class) both times. She has her eyes set on a meet in May where she hopes to deadlift 275-300 pounds and then to go onto Worlds in Calgary, Canada. She qualified for Worlds this past year in Belarus but opted not to go. She also says the community is really great. Webb has her own fan club wherever she goes, people she doesn’t know coming up to her and saying hi. 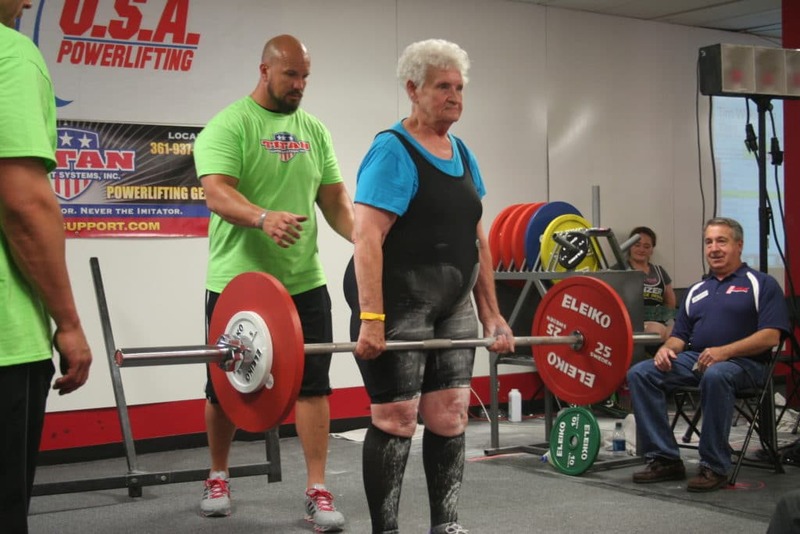 Her son started a Facebook page for her called Team Shirley where he calls her HERcules and people can keep track of her progress and see what the powerlifting grandma is up to. “My family is just so excited by all of this,” says Webb. “They really can’t believe that I can do all these things, and neither can I at times.” Webb is a true testament to “age is just a number” and continues to inspire people to try new things no matter how old they are. Tessa Yannone is a health and fitness writer and strength coach based in Boston where she is currently the Wellness Editor at Boston Magazine. She attended Indiana University studying journalism and sport management and found a true passion for strength training when her life-long career of playing soccer ended. Quickly falling in love with the weight room and the process of getting strong she pursued coaching at a weightlifting facility in Bloomington, Indiana. 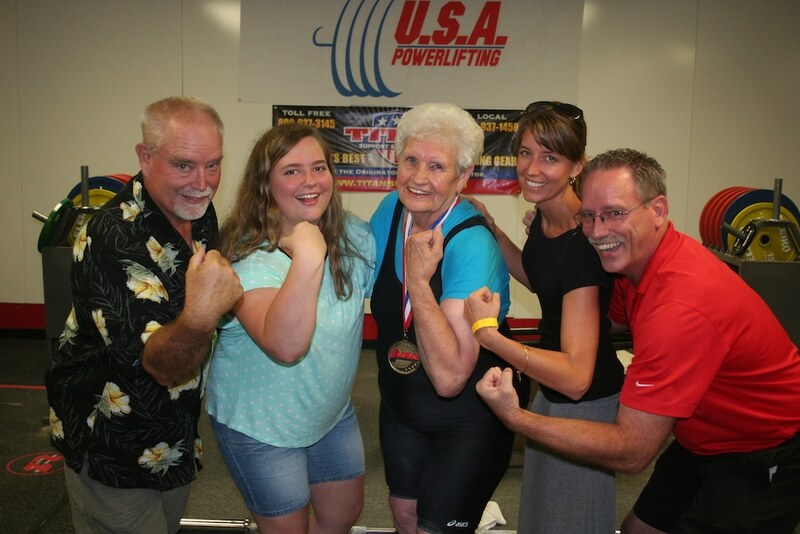 While there, she picked up powerlifting and has competed at the national level and realized that she could combine the love she has for writing with the love she found under a barbell. Now, she writes about strength training, body positivity, and balanced nutrition at Boston Magazine, and for other national and local publications, in a way that is easy to understand and accessible for all people. She is an active member of the fitness community in Boston and continues to coach and work with women to help them discover their own strength. You can learn more about Tessa on her website, and connect with her on Instagram.